Bucky who is 4 ft. 2 in. tall, is the living trade mark of the Buckeye Brewing Company Toledo Ohio. His wife, Bonnie, 3 ft. 6 in. tall, makes up the team. 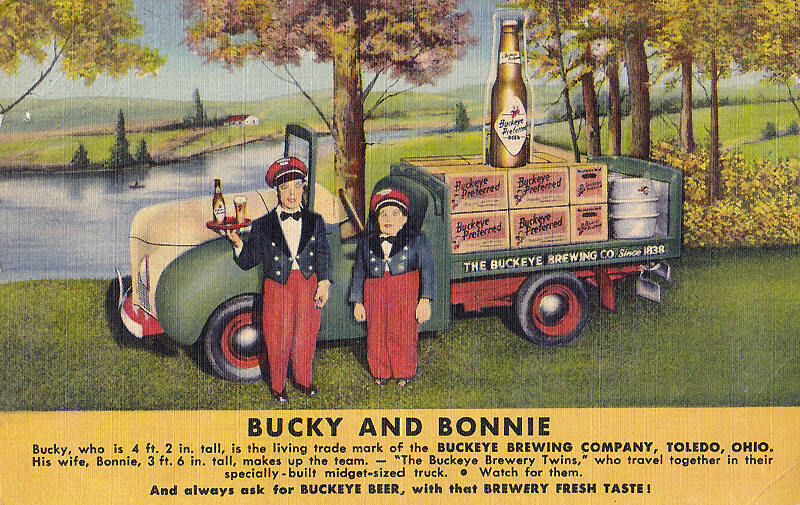 The Buckeye Brewery Twins, who travel together in their specially built midget sized truck. 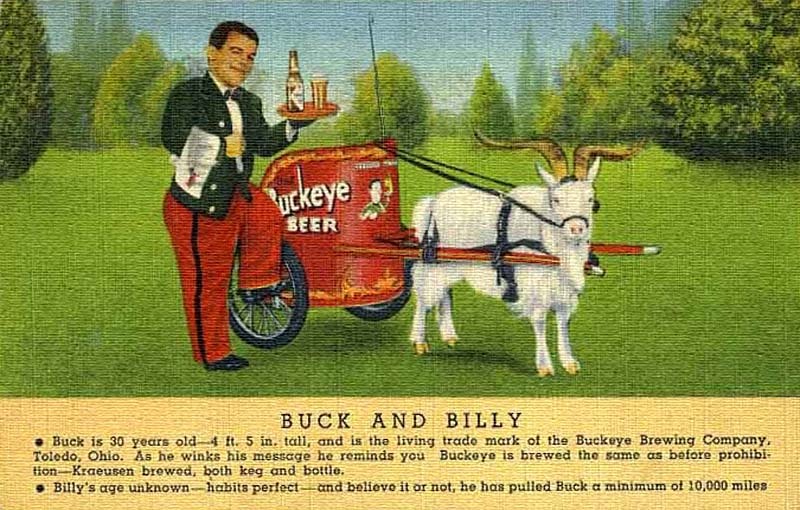 Billy's the Goat age unknown habits perfect and believe it or not, he has pulled Buck a minimum of 10,000 miles.